Special Super Exciting Angry Birds Toons announcement! No, you’re here to hear about this announcement! Well, I won’t keep you waiting. NEW SEASONS OF STELLA’S ANIMATED SERIES AND ANGRY BIRDS TOONS ARE COMING VERY SOOOOOON! YAAAAAAAY! That’s right, Stella and the rest of the Birds are back, and this time – it’s porcine-al. Get it? Like, porcine. Pigs? ヽ(。_°)ノ Anyway, if you remember, the last episode of Stella’s series left us all guessing. So many questions! What happened to Gale? Is she gone for good? What about the Golden Egg? Were they both destroyed by hot lava? I have to know! And Stella’s not the only one with news. The Piggy Island flock is getting down with an all new season of their own. Will chuck ever convince someone to watch him do kung fu 24-7? Will Bomb find the bird of his dreams? Will Red ever learn how to swim? We can’t just leave you hanging – for very long… Be sure to tune in next season to get some answers! When are new episodes coming? Also a great question. 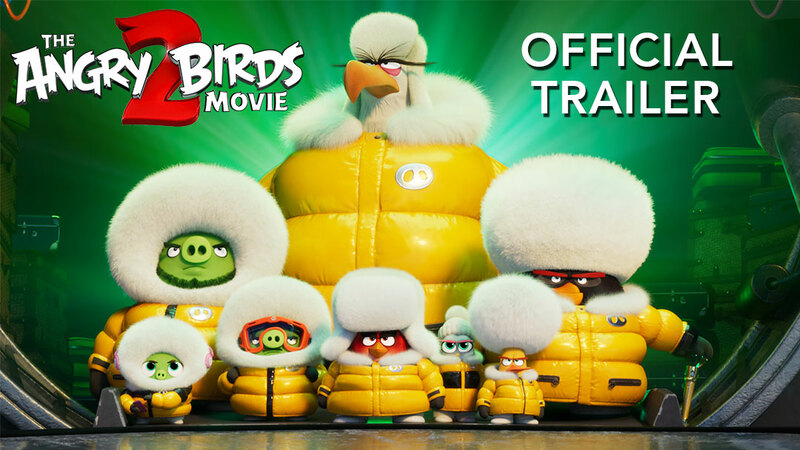 Check back here, and to Angry Birds Twitter and Facebook for the details very soon! All this talk about Angry Birds Toons has gotten you psyched to watch some Toons, I know. Maybe you can’t even make it to ToonsTV. Just relax and enjoy this week’s episode of Piggy Tales: Pigs At Work provided below for your convenience.